Yesterday I made cream cheese biscuits with creamed spinach chicken for dinner. I followed a classic biscuit recipe subbing cream cheese for the butter. Why? Honestly I didn’t want to wait to soften the butter! 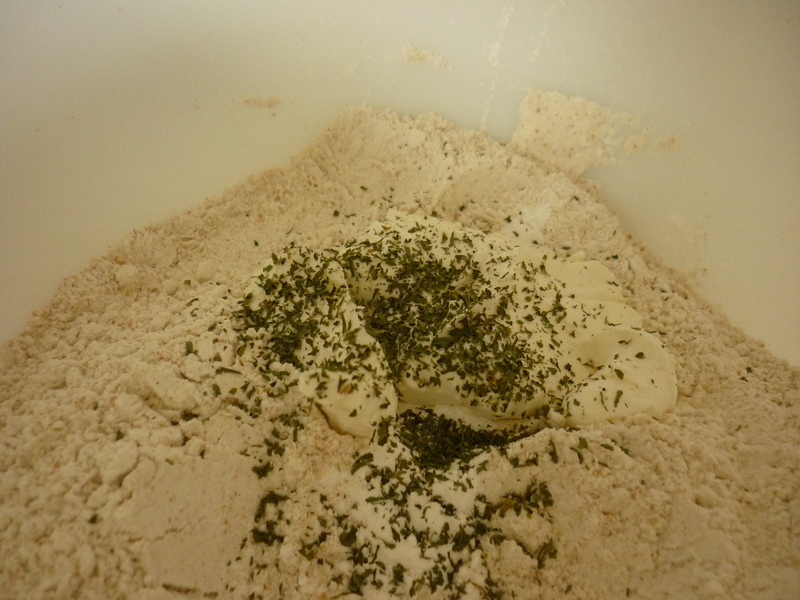 sprinkled some parsley and garlic powder before stirring everything together. Here they are scooped on the cookie tray and parchment paper. 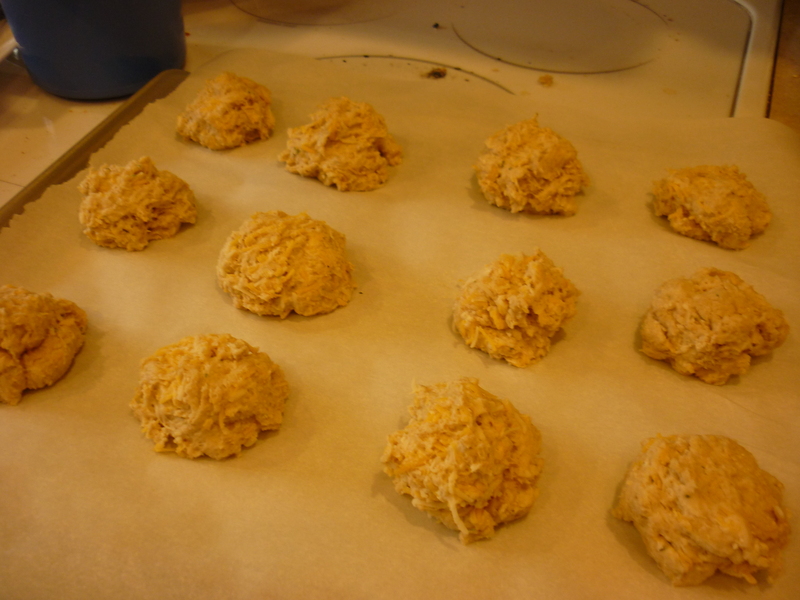 After I plopped them on I shaped them a bit to be more rounded instead of the scary little buggers that come out when I usually make drop biscuits. They smelled amazing as they baked! How can you go wrong with cream creese, cheddar and Colby jack cheese? frozen spinach and then stirred in cream cheese. 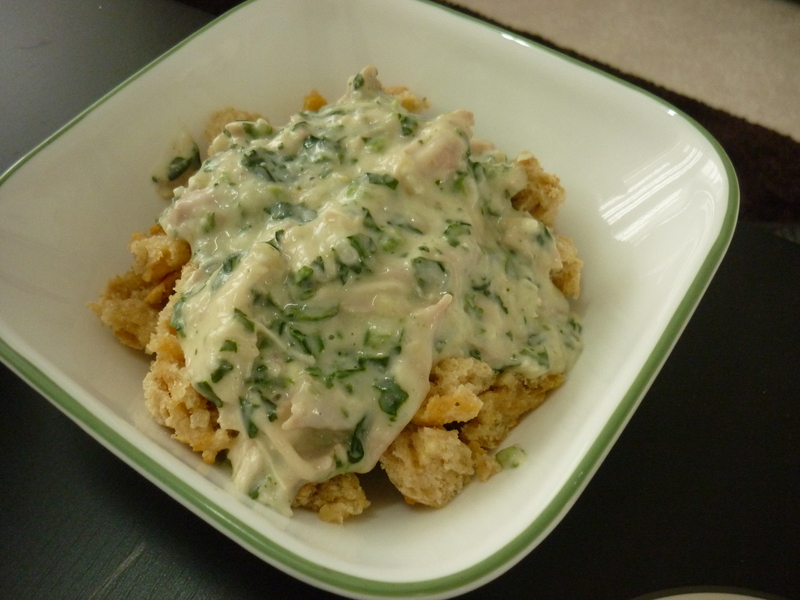 I cooked peas, broke the biscuits up into chunks and poured the creamed spinach chicken over everything. It was so simple and yet it tasted pretty good! Tonight Gil and I went out to our favorite Vietnamese restaurant. bean sprouts, Thai basil, cilantro and rice paper.